“Donate blood – Save a Life – Give Blood” was the slogan adopted by Leptos Estates for their 14th Annual Blood Donation which was organized by the management and employees of the company in collaboration with the Paphos Coordinating Committee of Blood Donation (SEAD) and supported by the medical team of the Paphos IASIS Hospital. Blood donation, added Mrs. Delitsikou is one of the noblest and greatest donations a person can make. Blood donation is the mother of all donations. 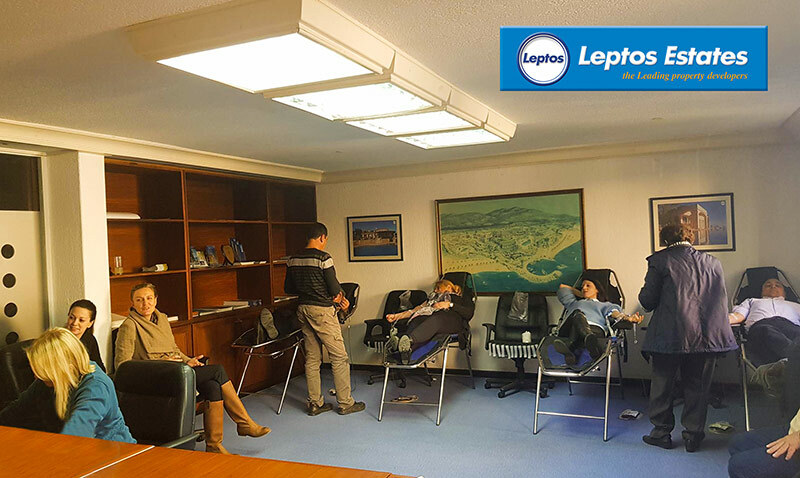 Photo from the 14th Annual Blood Donation of LEPTOS ESTATES. This entry was posted in News on January 22, 2018 by iasis Hospital.